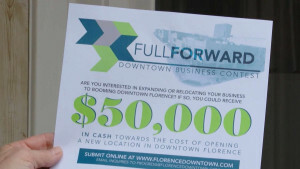 “FLORENCE, SC (WMBF) – The Florence Downtown Development Corporation is kicking off a brand new competition called the Full Forward Downtown Business Contest designed to give existing retail business owners the chance to relocate or expand their business in the Downtown Florence Historical District. 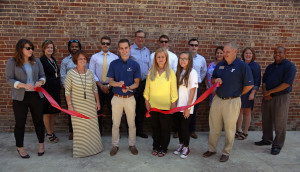 One winning entry will receive a $20,000 cash prize, $30,000 in grant money through the Tenant Up-fit Grant Fund and other assistance with helping get their business started in downtown Florence. That additional money is around $1,000 in sign and interior design grant money from the city of Florence, and a credit toward the first-year business license. Bob Sager, the downtown development corporation retail recruiter, said he has looked at models from larger cities. “It’s not just getting the winner; it’s a marketing tool to try and attract even more attention,” Sager said. The other applicants can also benefit from the competition. Business owners will have the chance to tap into the $240,000 grant incentive fund that started two years ago to help recruit businesses. The Full Forward Downtown Business Contest is open to all current retail business owners that have been operating a business for at least 12 months. “The addition of somebody that isn’t even represented here would be a big plus not just for downtown, but for the whole city,” Sager said. Liz Andrews, the co-owner of O-Harra-Mellette Interior Design Studio, opened up shop a year ago to be a part of the momentum downtown. 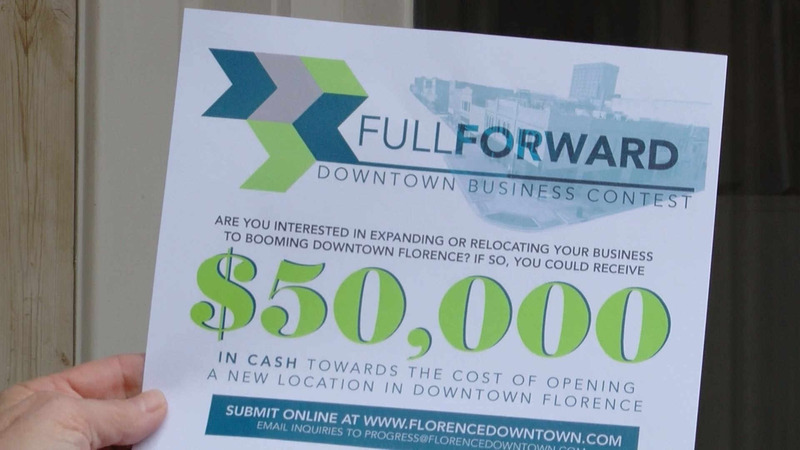 The Full Forward Downtown Florence business competition is something Andrews said will hopefully help recruit business owners to fill the empty storefronts around her business. “Florence is kind of centrally located in the state. I think it’s a good drawing destination,” she said. According to county documents, that development will create more than 700 new jobs. On Thursday the Florence County Council moved forward with a fee-in-lieu-of-tax agreement with the yet-to-be-named developer, meaning there will be a 6 percent tax on the development rather than the usual 10 percent. Though council members remained tight-lipped on details about Project Horseshoe, Chairman Kent Caudle said this is an expansion of a company already operating within the county. Caudle added that construction on the expansion will likely start this year, though dates have not been set by the developer. This project comes after several major employers announced job-creating expansions of their operations in Florence County in the past year. Honda of South Carolina announced a $45 million, 115,000-square-foot expansion, and McCall Farms announced a $23 million investment and General Electric announced a $40 million expansion. The council approved a yearly $5 “system fee” increase per vehicle in the county to go toward road maintenance. This raises the fee from $30 per vehicle every year to $35 per vehicle. 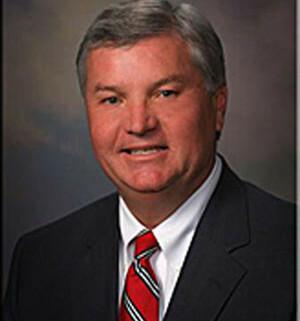 Caudle said this fee hasn’t been raised in about 20 years, and an increase was necessary to continue funding rural road work in the county. New Pepsi can in stores! 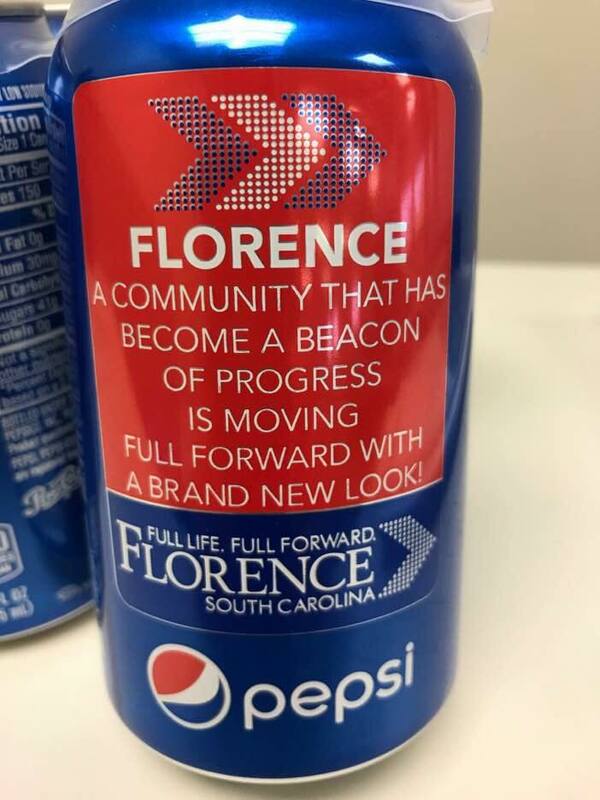 Be on the lookout for the new Pepsi can at stores throughout the Pee Dee. https://www.flochamber.com/wp-content/uploads/2017/05/pepsican.jpg 936 702 Meg Feagin /wp-content/uploads/2015/11/Web-redesign-300x121.png Meg Feagin2017-05-24 15:41:142017-05-24 15:43:22New Pepsi can in stores! 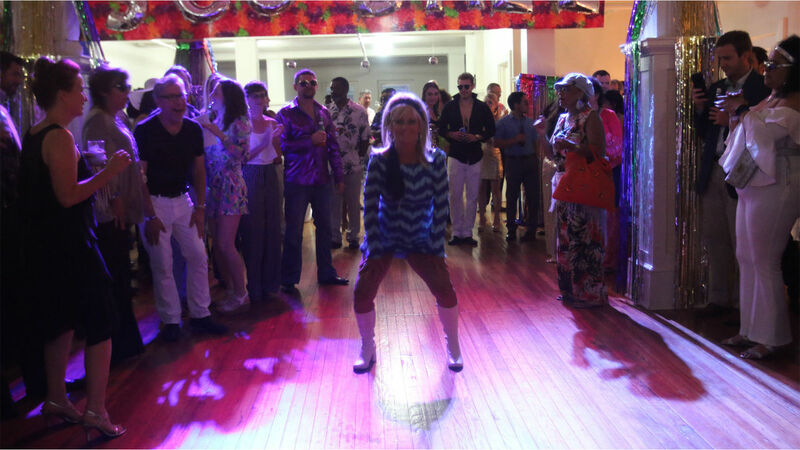 “FLORENCE, S.C. — The tunes of A Taste of Honey, Rose Royce, Van McCoy’s “Hustle” and other disco-era songs blasted through the Waters Building as people boogied to the grooves and enjoyed food from caterer Out of Left Field on Thursday. The Disco Ball was a fundraiser by Leadership Florence t o support three nonprofit groups: SNAC, Help 4 Kids, and The Naomi Project . Donna Baxley was on the dance floor throughout the ball. She said her friend invited her, and she went with coworkers. “My favorite part of the night is the costumes,” Baxley said. The men wore their ultra-white tuxedos, their afros and chains, while the women wore their jumpsuits, glittery shirts and short frocks. The deejay turned the lights down, the strobe lights decorated the place as the deejay played the grooves of the disco era to bring out the nominees of the Best Dressed Disco Male and Best Dressed Disco Female. As the two dozen or so strutted around the dance floor, the audience members had to cheer loudly for the Best Dressed. Kim Alejos and Shawn Hylan won the Best Dressed competition. Alejos received a $100 certificate from Pretty N’ Bliss, while Hylan won $100 from Butler’s Fine Men’s Clothing. Besides the Best Dressed competition, there was a soul train line with dancers giving their best disco grooves as they traveled down the line. Representatives from the different nonprofit groups talked about how the money raised by the Disco Ball will aid their organizations by purchasing food for the kids or protecting families in hardship. Jensen Seear, president of Leadership Florence Class of 2017, said they sold about 400 tickets. Sponsors Assurant provided $5,000 to the event and ADP provided $2,500. He said the Leadership Florence class wanted to host an event that was lighthearted. He said the event is probably the only disco gala in the Pee Dee right now. “FLORENCE, S.C. – Twenty-three community and business leaders received certificates for completing the Fellows in Education Program during a luncheon at the Florence Chamber of Commerce on Tuesday. 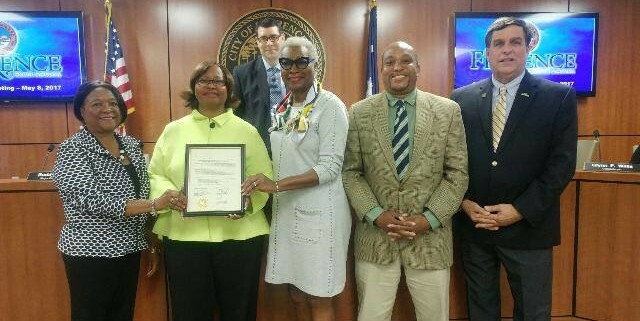 The program was designed to give leaders a behind-the-scenes look into Florence School District One (FSD1) schools and is a joint program between FSD1, The School Foundation and the Greater Florence Chamber of Commerce. During the program, participants met eight times to tour schools and learn about student needs and the state and federal requirements placed on schools, teachers and administrators in FSD1. The goal of the Fellows in Education Program is that current and past participants may share firsthand knowledge in their circles and help collaborate with policymakers and the community on educational concerns. 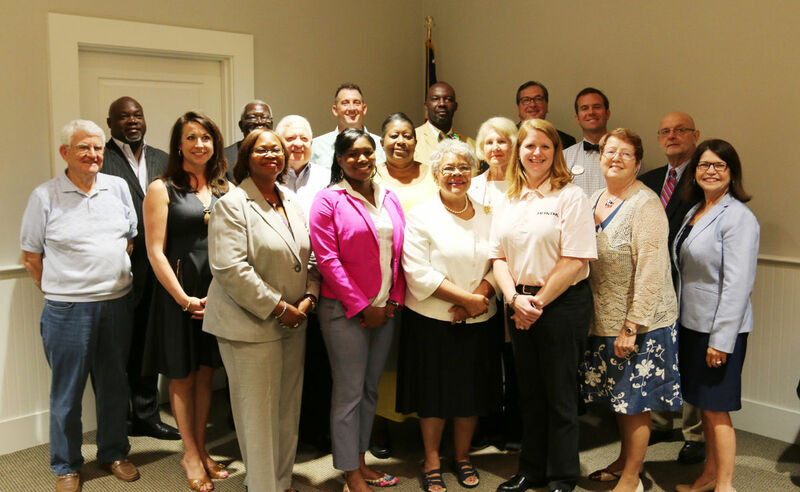 Michele Pridgen, Assistant Manager of Administration at Honda of South Carolina, said that bringing together leaders from a variety of backgrounds contributed to the program’s effectiveness in the community. Katie Wilcox who works in marketing and business development at Pee Dee Electric Cooperative said that she grew up attending FSD1 schools, but participating in the Fellows in Education Program positively exposed her to new schools and people. “FLORENCE, S.C. – Four Florence restaurants will unite to create one menu for the “Experience the Vision: An Evening to Savor” event on Wednesday, May 24, in downtown Florence. “Experience the Vision” is a farm-to-table dinner and wine tasting with proceeds to benefit the American Red Cross. The funds raised from the event will help the Red Cross provide services to people affected by house fires and help provide potentially life-saving tools and information about home fire prevention and safety. The outdoor event is scheduled to begin at 6:30 p.m. featuring select wines from California winemaker Mac McDonald and a four-course meal provided by the executive chefs of Victors, Town Hall, King Jefe and Tracks Café. With the help of the Pee Dee Food Hub, the executive chefs will be creating various dishes using the freshest ingredients from local farmers. Each restaurant will be responsible for one of the four courses during the meal and each course will be paired with a specific wine of the wine maker’s choice. Victors will initiate the event and provide the hors d’oeuvres for the evening during cocktail hour. Some of the Victors appetizers include pickled shrimp with smoked tomato sauce, black-eyed pea and bacon bruschetta with pickled red onions, thinly sliced charcuterie meats with domestic and imported cheeses and fresh cut fruit and mixed berries. King Jefe will provide the second course, a fresh spinach salad with its own Mexican flair. The salad will feature field peas, Carolina Heritage Farms chorizo, agave-glazed onions, heirloom tomatoes and queso fresco. Town Hall is serving a Carolina Heritage Farms confit pork shoulder for the main course with Carolina Plantation baked grits, mushrooms, fingerling potatoes, roasted tomatoes and a sorghum glaze. For the final course, Tracks Café is serving a decadent dessert featuring fresh strawberries from Willard Farms. Tracks Café is located in the HopeHealth building at 360 N. Irby St. Tracks chef Adam Silverman said he hopes the event will not only bring awareness to the Red Cross mission, but also bring attention to local farmers and restaurants in the Florence area. 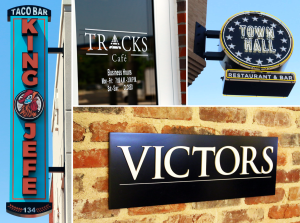 Cooper Thomas, executive chef at Victors, said being able to collaborate with other local chefs on this menu not only helps the individual businesses, but also helps the Florence downtown revitalization. Congratulations to the Chamber and City of Florence‘s Business of the Quarter, MiLadies 182, led by Doris Lockhart, Starlee Alexander and Charlene Lowery! 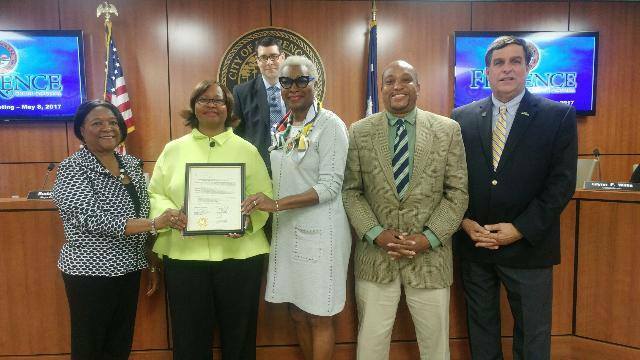 We were very honored to recognize MiLadies 182 during a meeting of Florence City Council and look forward to their continued efforts to help make Florence an even better place to live and do business. 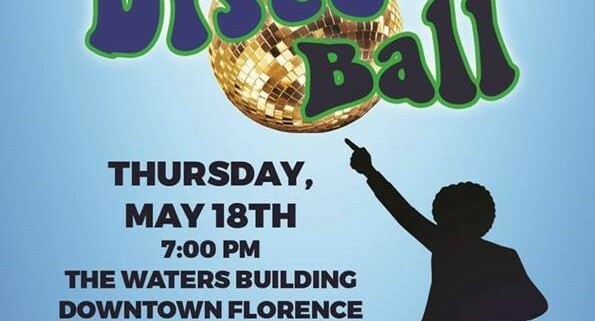 “FLORENCE, S.C. — On May 18, an event at the Waters Building in downtown Florence will let people relive the disco era. 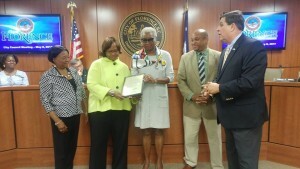 Leadership Florence will host the event and is encouraging everyone to wear disco attire. The best-dressed man will win a $100 gift card from Butler’s Fine Men’s Clothing, and the best-dressed woman will win a $100 gift card from Pretty N’ Bliss. “We’re trying to encourage people to dress appropriately with the bellbottoms and afros,” said Celeste M. Kahn, who is doing marketing for the event. “Leadership Florence had a class that focused on local nonprofits, and those three caught our attention,” Kahn said. Kahn said disco theme music will be provided by a deejay. She said there will also be a silent auction at the event. Items on auction are fine jewelry, wines and spirit, art and sporting goods. Leadership Florence assists participants in increasing their knowledge of the Greater Florence Area. The class meets once a month for nine months. People interested in attending can buy tickets through Eventbrite at eventbrite.com or purchase tickets at the Greater Florence Chamber of Commerce. 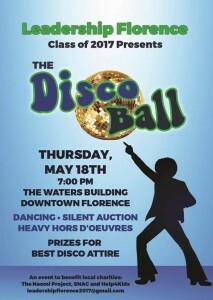 The Disco Ball will start at 7 p.m. Tickets are $30 apiece or $50 for two tickets. The proceeds of the event will go to Naomi Project, Help 4 Kids, and SNAC. The Naomi Project assists families that go through domestic violence. The organization provides housing, educational, financial, emotional, mental and spiritual support to families. 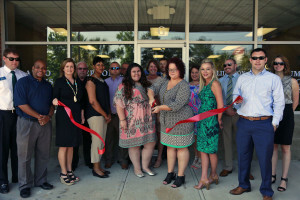 “FLORENCE, S.C. – First Heritage Credit, located at 960 Pamplico Highway, celebrated its grand opening Wednesday morning alongside members of the Greater Florence Chamber of Commerce. First Heritage Credit is a community-based lender that provides personal and consumer financing to local merchants for items such as furniture, appliances, electronics, ATVs and more. Founded in 1995, First Heritage Credit serves over 116,000 customers through more than 100 offices operating in Louisiana, Mississippi, Tennessee, South Carolina and Alabama. Chamber ambassadors joined First Heritage Credit staff members and administrators for a ribbon cutting and grand opening ceremony to congratulate and welcome them to the chamber. The company has two Florence locations. The second, on Woody Jones Boulevard, will host its own grand opening ceremony in the coming weeks. Larry Mixson, vice president of First Heritage Credit, said the business has opened 10 new offices since the start of the year and he is happy to have two locations serving local residents. Vicki McLeod, district manager for First Heritage, oversees the Florence offices as well as three other surrounding locations. McLeod said both she and the three-person staff at First Heritage are looking forward to not only helping the Florence community but also being an active member of the chamber. “LORENCE, S.C. – BluFish IT Solutions Inc. became a member of the Greater Florence Chamber of Commerce on Wednesday afternoon following a ribbon cutting held at the chamber office in downtown Florence. BluFish IT Solutions is a computer networking company located at 908 S. Parker Drive that offers an array of services including network consultation, management, maintenance and security. The company also offers off-site and remote backups, web design services, mobile app development, infrastructure upgrades and hardware repairs. Bryan Smith, co-founder of BluFish IT Solutions, said the company opened for business in August 2016 and has provided 24-hour services to a wide range of clients from medical and dentist offices to engineering and printing industries. Smith, along with his family members and fellow co-founder Bryan Wollan, shook hands with chamber ambassadors during the ribbon cutting ceremony. 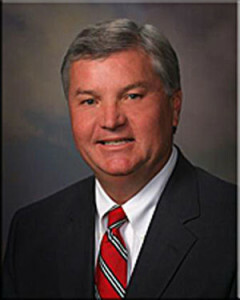 Smith said BluFish’s becoming a chamber member will allow the company to continue to grow and provide connections with other local businesses.